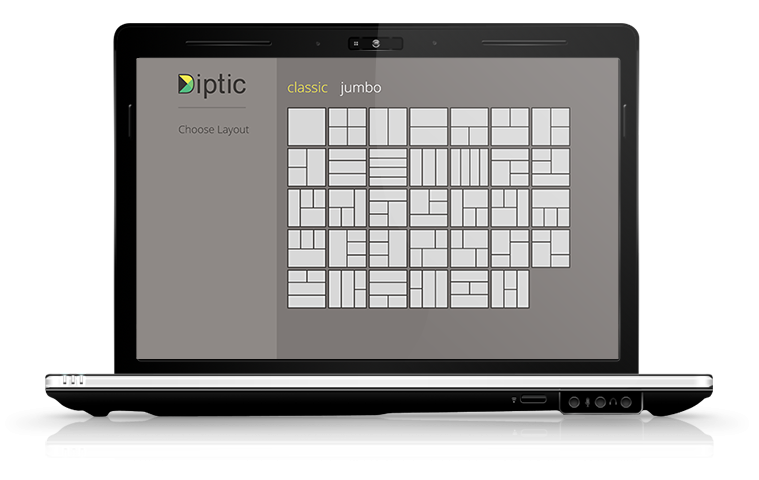 75 layouts (combine up to nine photos in a layout). 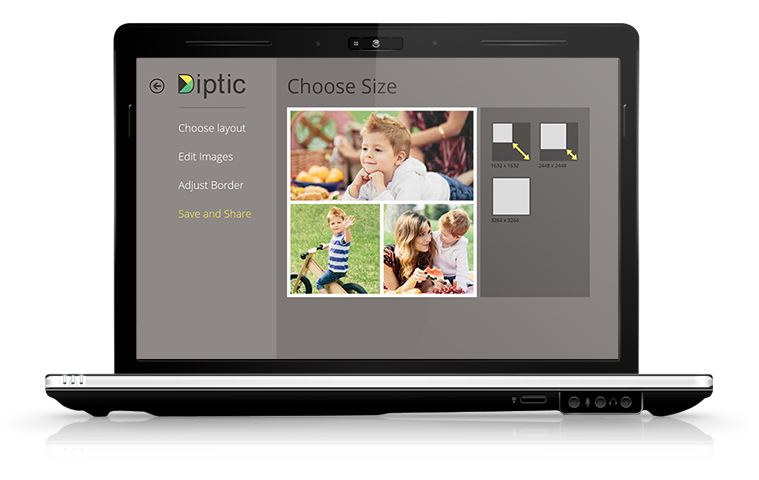 Rotate, flip, zoom and mirror individual photos. 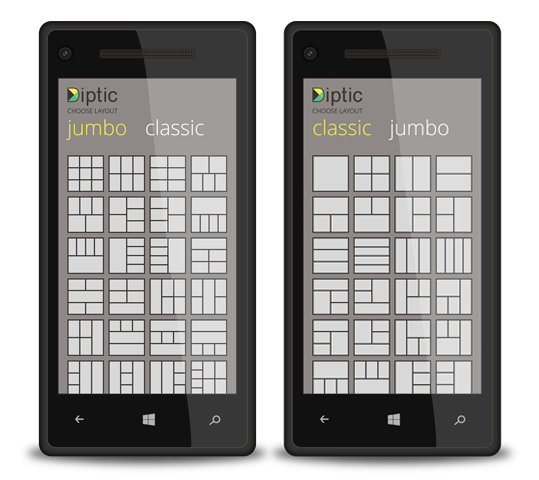 Choose from 14 filters (currently only available on Windows Phone 8). 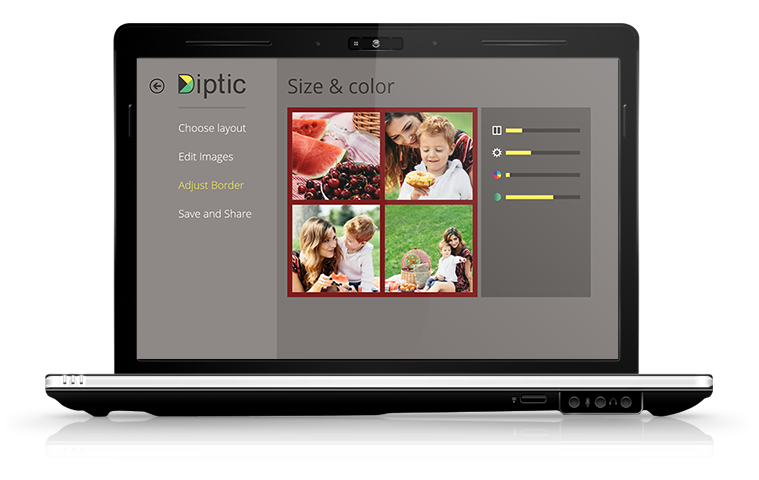 You can also adjust each image’s brightness, contrast, hue and color saturation. This lets you create black and white images. 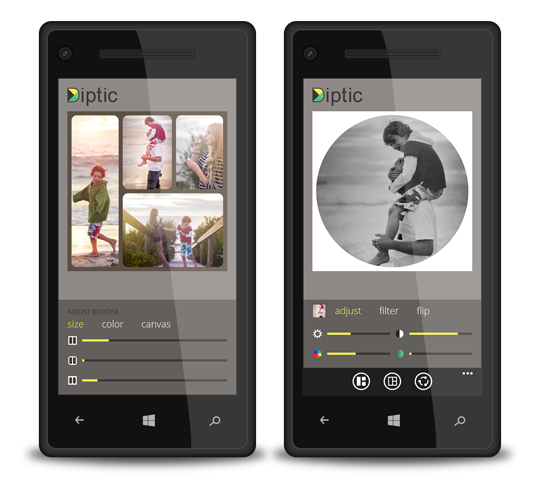 Round inner and outer borders, and select the background color when rounded outside borders are on (currently only available on Windows Phone 8). Adjust the border’s width and color. 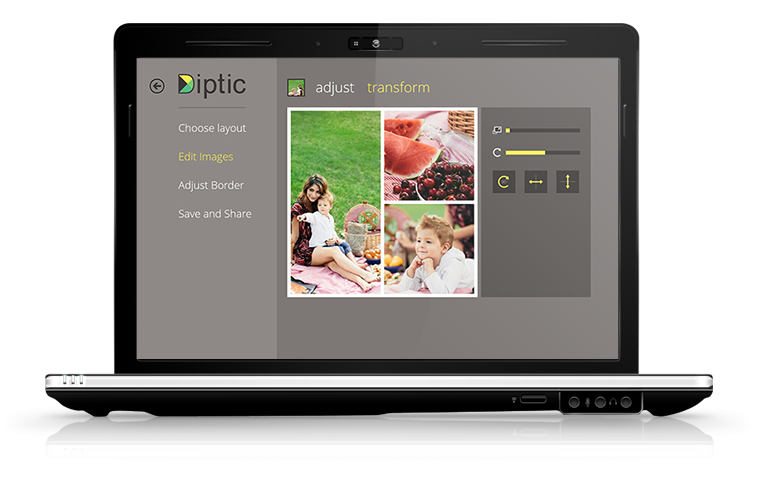 Save Diptics to your device, send via email or text message, or share by uploading directly to Instagram, Facebook or Twitter. Three export sizes: 1632×1632, 2448×2448, 3264×3264. 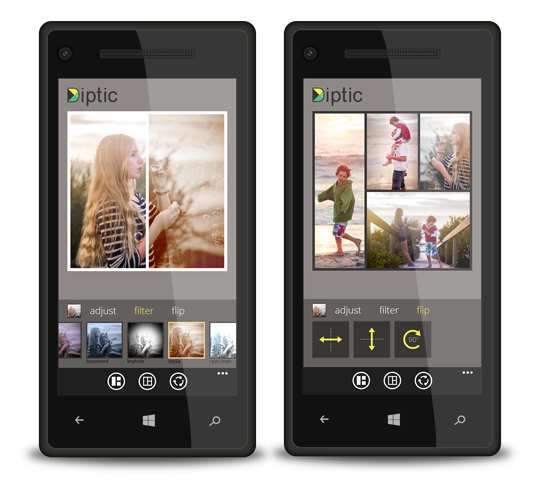 Released in 2010, Diptic was the first photo-collaging iPhone app. Bragging rights include: Former App Store App of the Week (July 2012), over three million downloads, and consistent 4.5 star rating in iTunes. Learn More About Diptic for iOS.